In June 2012, the innovative Magaldi Ecobelt® WA was successfully installed at a Swiss incinerator plant. The Magaldi Ecobelt WA allows dry conveying of heterogeneous hot materials as waste incinerator bottom ash, ensuring safe and dependable operation in an enclosed environment. 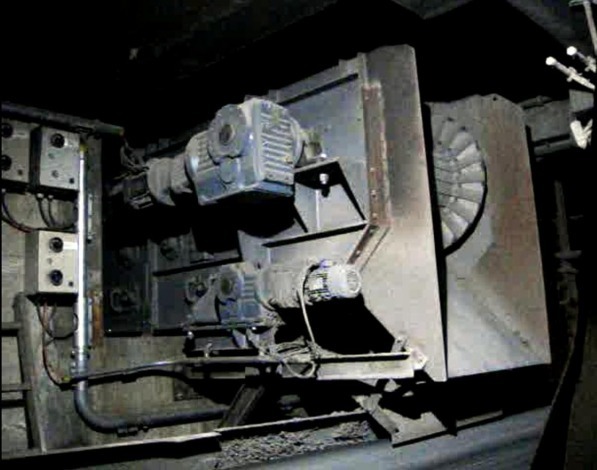 Hot slag falls from two existing vibrating conveyors directly onto the Magaldi Ecobelt® WA that continuously runs and conveys it to the downstream equipment, replacing the existing collecting vibrating conveyor. A scraper conveyor removes the fine residuals from the bottom of the casing.